This Huco Flex-P double loop elastomer coupling has a double loop element made of a thermoplastic polyester elastomer (Hytrel) for strength, flexibility and heat resistance. This flexible element can accommodate angular, radial and axial misalignment to address a variety of misalignment scenarios. 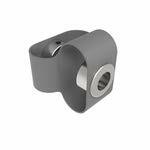 The hubs and fasteners are steel alloy for strength and durability. This double loop elastomer coupling can operate in temperatures ranging from -40 to 212 degrees F (-40 to 100 degrees C), supports up to 3000 revolutions per minute, and is for transmitting rotation in small drive applications that do not require precise tolerances. 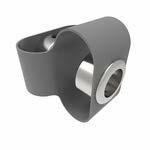 The coupling is suitable for use with small generators, pumps, and light power drives, among others. This double loop elastomer coupling has a double loop element made of a thermoplastic polyester elastomer (Hytrel) for strength, flexibility and heat resistance. This flexible element can accommodate angular, radial and axial misalignment to address a variety of misalignment scenarios. The hubs and fasteners are steel alloy for strength and durability. Flexible couplings are used to link two rotating shafts that are not aligned in order to transmit the rotational power, known as torque, from one shaft to the other. 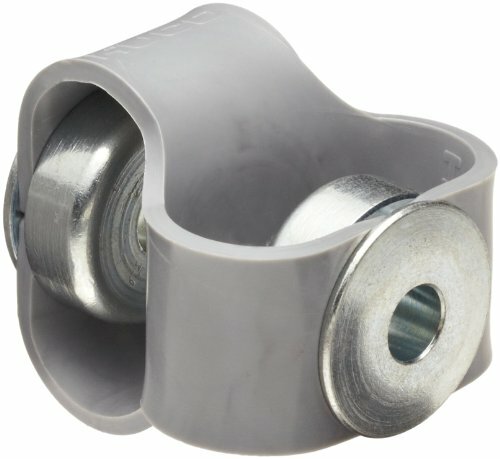 Most flexible couplings consist of two hubs and a middle assembly; each hub attaches to a shaft while the middle assembly flexes between the hubs to accommodate the misalignment of the two shafts. Shaft misalignments are generally either parallel or angular and cause complications to transmitting rotational power from one shaft to another in the form of stresses, loads, vibrations, and other forces, which vary from one type of misalignment to another. 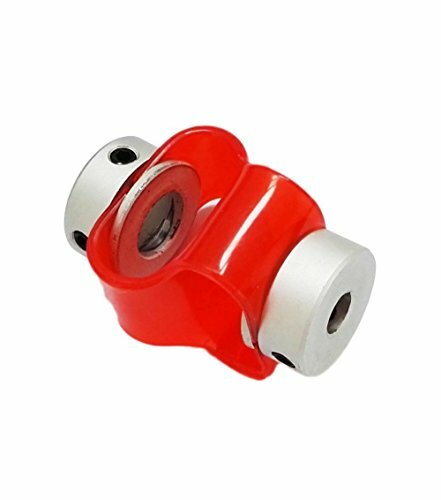 Flexible couplings are used in a broad range of applications, such as in motor vehicles, conveyors, escalators, agricultural, forestry and mining equipment, aeronautics, robotics and space exploration, among others. Double Loop Couplings with Steel HubsThe double loop coupling uses a moulded plastic element permanently swaged to steel or stainless steel hubs to give a compact design. 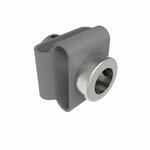 It forms an effective two-stage coupling with exceptional flexibility in all three modes. Ideal for transmitting rotation in small drives, this type of coupling works without any friction, wear or noise, although its low torsional stiffness makes it less suitable for high precision positioning applications. 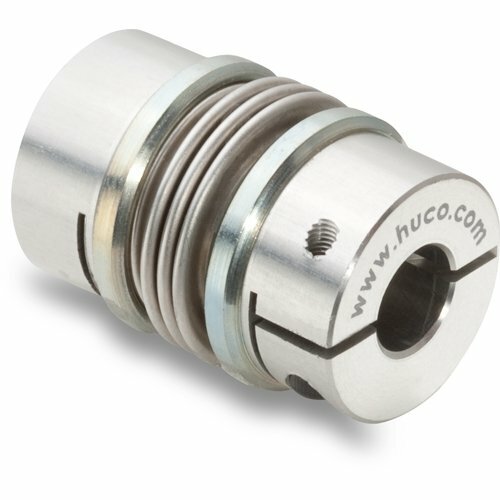 Double Loop Couplings with Stainless Steel HubsThe double loop coupling uses a moulded plastic element permanently swaged to steel or stainless steel hubs to give a compact design. It forms an effective two-stage coupling with exceptional flexibility in all three modes. Ideal for transmitting rotation in small drives, this type of coupling works without any friction, wear or noise, although its low torsional stiffness makes it less suitable for high precision positioning applications.